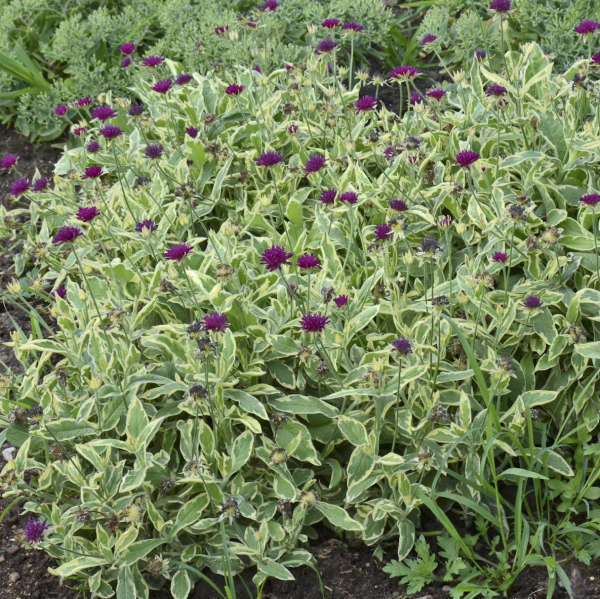 Though this plant has been on the market for a couple of years, we have waited to offer it until now that clean stock has become available. 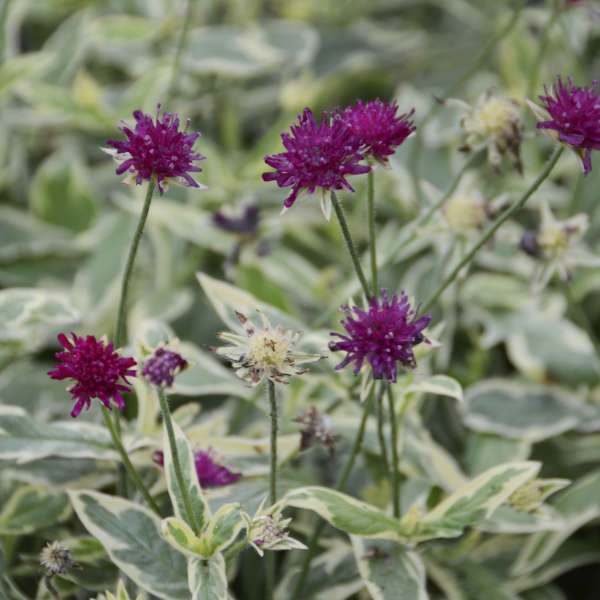 In our trials, this has proven to be a truly striking perennial with incredibly showy variegated foliage and a long bloom time. 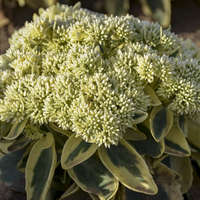 Light green leaves shaped like lightning bolts are outlined with creamy yellow to white margins which remain all season. 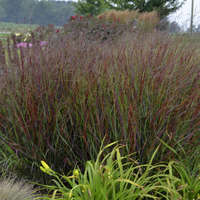 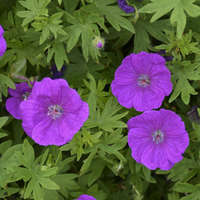 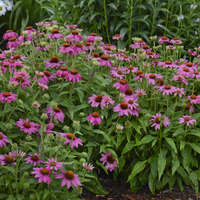 Deep reddish purple, rounded flowers about the size of a quarter appear atop wiry stems above the contrasting foliage from early summer into fall. 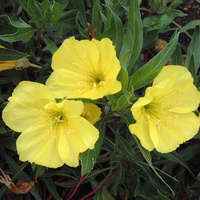 This new variety has a similar compact habit as ‘Mars Midget’ and is shorter than the species. 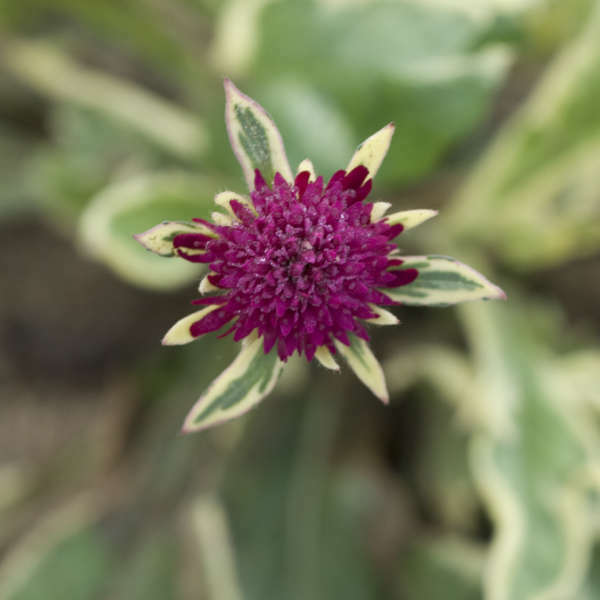 Knautia prefers full sun and moderately fertile to lean soil that is slightly alkaline. 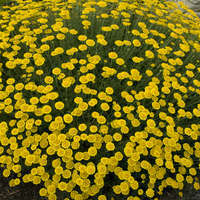 Once established, it is quite drought-tolerant. 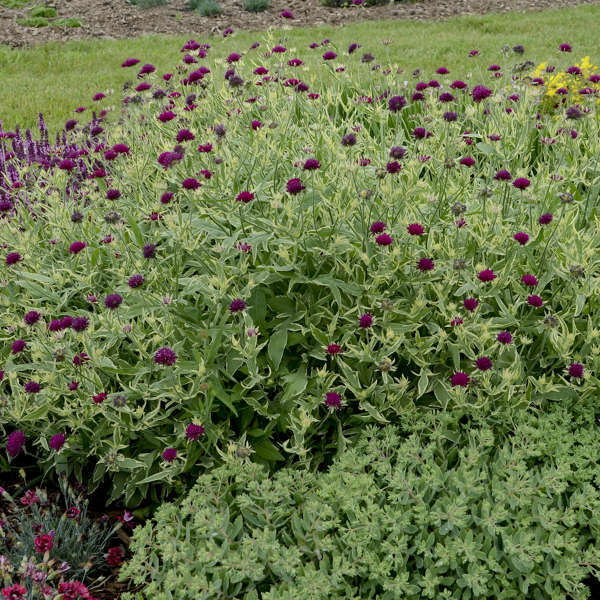 Knautia flowers are excellent in fresh bouquets.